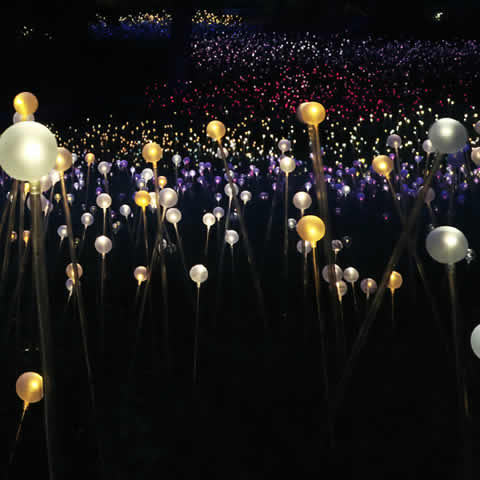 Inclusions: Accommodation, Coach Transfer to Hotel, Field of Light Star Pass, National Park Entry Pass for duration of package. You will be collected from your hotel before dawn and as you travel towards Uluru it's vast shape rises from the sand dunes in the early dawn light highlighting the presence in this country. Your guide will take you to a special location to watch the sun rise over this amazing monolith. You will learn the Creation stories of Liru (poisonous snake) and Kuniya (python) and hear about the Mala people. After breakfast you will visit Mutijulu Waterhole and then drive around the base of Uluru before returning to the resort. After the sunrise tour you will be returned to your accommodation where you can spend early to mid afternoon relaxing by the pool or spending time exploring the resort's cafe and shopping district. Late afternoon you will be picked up and taken to the award winning Sounds of Silence Dinner. Sip on a glass of champagne with the sound of a lone didgeridoo filling the air as the sun slowly sets over Uluru. You will then be taken to a private dining setting in the middle of the desert for an unforgettable fine dining experience that includes a star talk. Early in the morning you will travel to Kata Tjuta (the Olgas) where your Guide will explain the geological history of the area. Watch the spectacular sunrise over Kata Tjuta with Uluru in the distance from the western dune viewing area with light breakfast included. You will then be guided on a 2-3 hour walk to the Valley of the Winds lookout. Marvel at the unique flora and admire the view of the central valley of the domes of Kata Tjuta. Please Note - This walk can be challenging over rocky ground and requires a good level of fitness, but is well worth the effort. (Shorter walks are available for thos not wanting to walk to the second lookout.) You need to bring your own water bottles (2L per person), wear sturdy walking shoes, comfortable protective clothing, a hat and sunscreen. You will be returned to the resort where you have the remainder of the day to relax and explore the resort. You can spend your time relaxing by the pool, or participating in some of the free daily resort activities such as: Didgeridoo playing, Spear & Boomerang Throwing, Cultural dancing, perusing the Art Markets or enjoying Bush Yarns. For the more adventurous take the opportunity to participate in a Heli/Scenic Flight or perhaps a Sunset Camel or Harley ride (extra cost). A free morning to relax and sleep in or laze about the pool. For the more adventurous take the opportunity to wake up early and experience another crisp morning and sunrise around the Rock or take part in the resort morning activities including Guided Garden Walk, Indigenous Art Classes for Kids or be captivated by Indigenous Bush Yarns. This Sunrise tour includes an escorted walk through Kata Tjuta on the Valley of the Winds walk. Understand the natural & cultural significance of Uluru on this complete base tour. 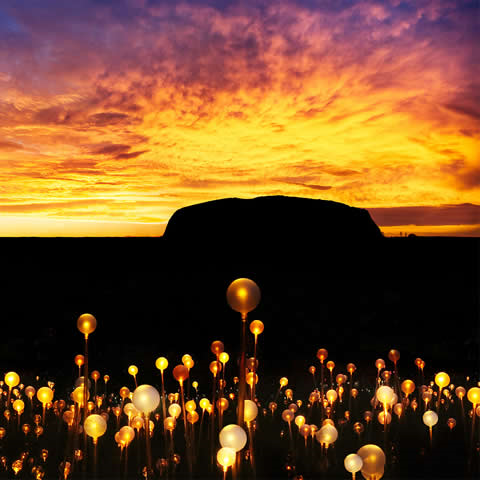 The tour begins before sunrise & is 3hrs by vehicle with stops & short walks or if upgrading (extra $30pp) to the Uluru Trek is 6 hrs walking tour. 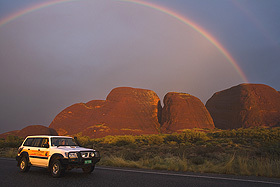 4 Day / 3 Night "Ultimate Uluru"